What things out of all the things that single mothers struggle with are the hardest? I would tell the expectant mom to have little expectations, be flexible while serving up large amounts of grace to yourself and your partner, if there is one! Sitting in the now. Resting and trusting in each of the seasons of parenting. I have had to really battle parenting out of fear. My children will have a story of their own to tell. Pain is a part of life. If it wasn’t for heartbreak we wouldn’t have the opportunity to know the true gifts of life, and that is what I really want my children to experience. Their unconditional love and how much more of a better person they made me. It is because of the challenges and difficult times of parenting that I have had to dig deep and pull out of me the strength I never thought I was capable of. Family meetings have really reduced stress, nagging and helped with taking responsibility. And an action plan. They are really helpful in navigating family problems. Cassie’s free gift is a 10 Single Mom Secrets to Making Your Money Count Guide! “Ten years of being a single mom and I struggled with finances. Big time. One bankruptcy and nearly $100,000 of debt. Sound familiar, friend? Because I’m not good at keeping secrets and because I don’t want you to struggle for as long as I did, I put together this list. 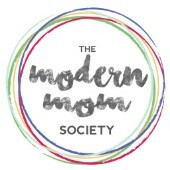 This program is an eight month adventure for a select group of single moms offering an opportunity to form a sisterhood, while discovering how life can become even sweeter while parenting solo.